Photos of the 1879 Avery House exterior and grounds. The Carriage House sits behind the Avery House and was built in 1904 to replace the wooden barn that had stood there since 1878. The Carriage House has the same style and detail of construction as the Avery House. 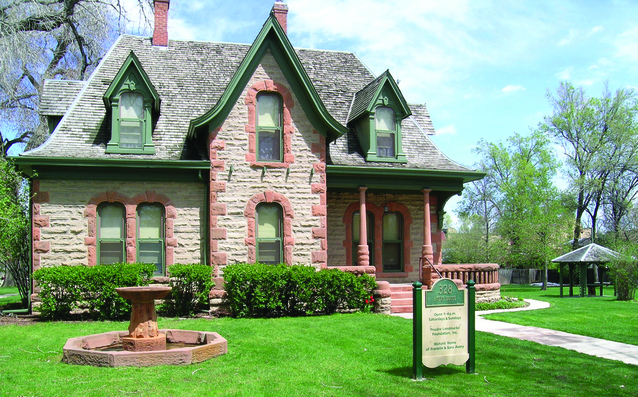 The sandstone walls, slope of the roof, dormers, and exterior wood elements all mirror the main house.